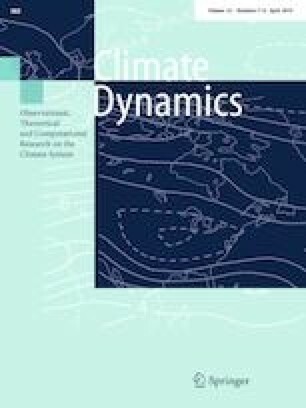 This paper examines the forecasting skill of eight Global Climate Models from the North-American Multi-Model Ensemble project (CCSM3, CCSM4, CanCM3, CanCM4, GFDL2.1, FLORb01, GEOS5, and CFSv2) over seven major regions of the continental United States. The skill of the monthly forecasts is quantified using the mean square error skill score. This score is decomposed to assess the accuracy of the forecast in the absence of biases (potential skill) and in the presence of conditional (slope reliability) and unconditional (standardized mean error) biases. We summarize the forecasting skill of each model according to the initialization month of the forecast and lead time, and test the models’ ability to predict extended periods of extreme climate conducive to eight ‘billion-dollar’ historical flood and drought events. Results indicate that the most skillful predictions occur at the shortest lead times and decline rapidly thereafter. Spatially, potential skill varies little, while actual model skill scores exhibit strong spatial and seasonal patterns primarily due to the unconditional biases in the models. The conditional biases vary little by model, lead time, month, or region. Overall, we find that the skill of the ensemble mean is equal to or greater than that of any of the individual models. At the seasonal scale, the drought events are better forecast than the flood events, and are predicted equally well in terms of high temperature and low precipitation. Overall, our findings provide a systematic diagnosis of the strengths and weaknesses of the eight models over a wide range of temporal and spatial scales. This paper is a contribution to the special collection on the North American Multi-Model Ensemble (NMME) seasonal prediction experiment. The special collection focuses on documenting the use of the NMME system database for research ranging from predictability studies, to multi-model prediction evaluation and diagnostics, to emerging applications of climate predictability for subseasonal to seasonal predictions. This special issue is coordinated by Annarita Mariotti (NOAA), Heather Archambault (NOAA), Jin Huang (NOAA), Ben Kirtman (University of Miami) and Gabriele Villarini (University of Iowa). The authors thank the NMME program partners and acknowledge the help of NCEP, IRI and NCAR personnel in creating, updating and maintaining the NMME archive, with the support of NOAA, NSF, NASA and DOE. This study was supported by NOAA’s Climate Program Office’s Modeling, Analysis, Predictions, and Projections Program, Grant#NA15OAR4310073. Gabriele Villarini also acknowledges financial support from the USACE Institute for Water Resources and from Grant/Cooperative Agreement Number G11 AP20079 from the United States Geological Survey. Its contents are solely the responsibility of the authors and do not necessarily represent the official views of NOAA, USACE or of the USGS.